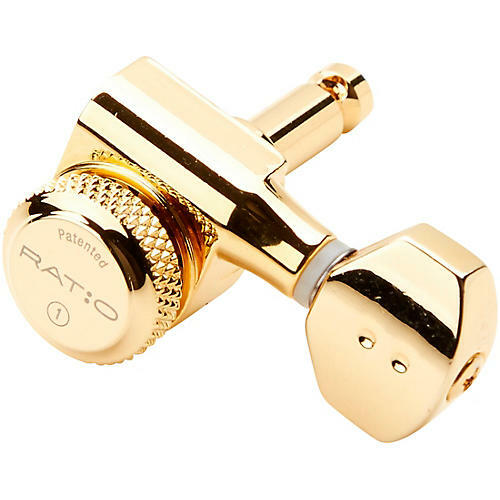 The PRL-8721-B0 is a set of Ratio Locking Tuned Machine Heads for electric guitar that uses six in-line tuners. It has a contemporary mini shaped button, has a two pin casing and is finished in black. It includes InvisoMatch standard mounting plates for easy installation. Fits most headstocks.